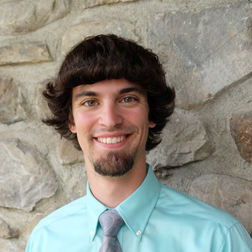 Kevin Jacobson joined The Storm King School community in 2014 as Associate Director of Admissions and 8th grade Outdoor Adventure/Environmental Teacher. Since graduating Manhattanville College in 2011, he has worked with students from 2nd-12th grade and college, all around New England and New York. With a lifelong passion for the outdoors, his course takes SKS students outside of the classroom to “explore, discover, understand and conserve” the Hudson Valley. Kevin also travels domestically and internationally to show prospective students the wonderful world that The Storm King School has to offer. In his free time, he enjoys playing music, cooking, outdoor adventures and traveling.